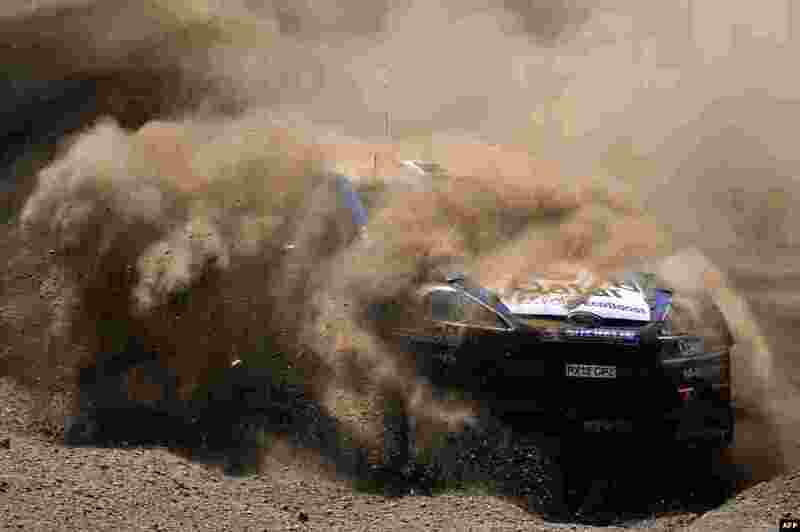 5 Thierry Neuville with his co-driver Nicolas Gilsoul competes with their Ford Fiesta RS WRC at the Loutraki special stage for the World Rally Championship, some 80km southwest of Athens, Greece. 6 U.S. actors Angelina Jolie and Brad Pitt arrive at The World Premiere of 'World War Z' at the Empire Cinema in London. 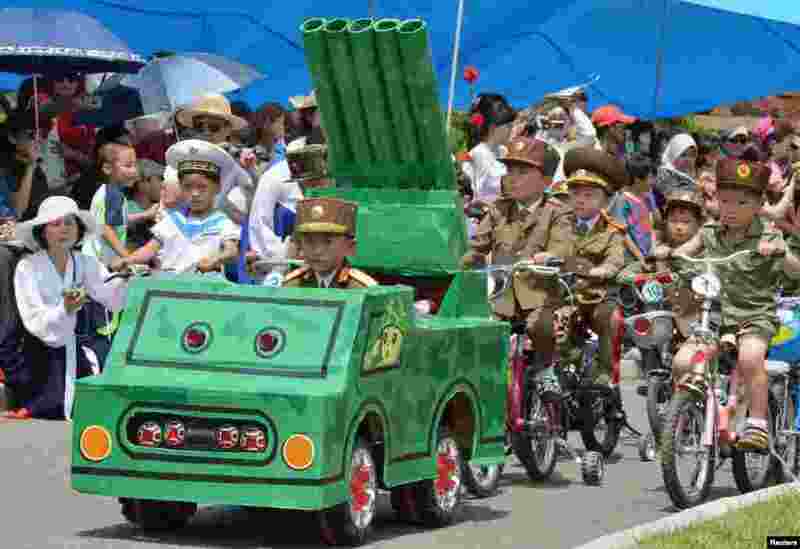 7 Children take part in a mock military parade at an amusement park in Pyongyang, North Korea, to mark International Children's Day, in this photo taken by Kyodo, June 1, 2013. 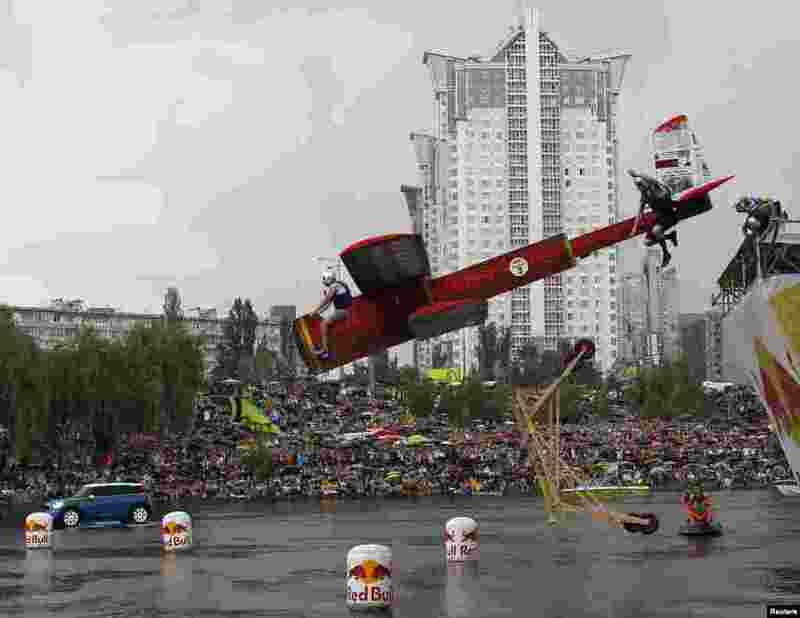 8 Participants operate a homemade flying machine during the Red Bull Flugtag (Flight Day) event in Kyiv, Ukraine.